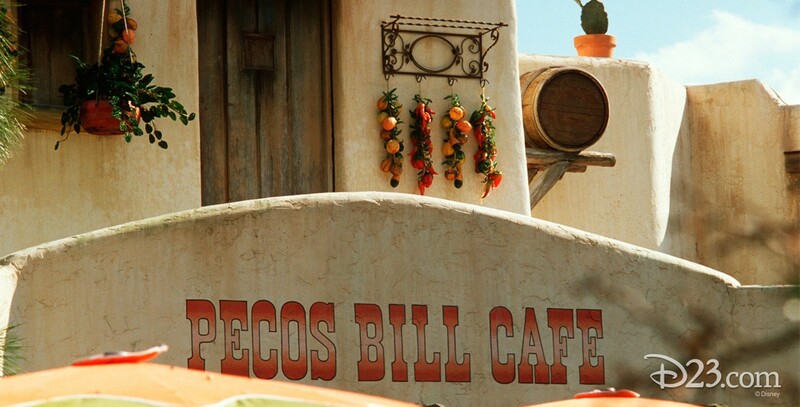 Pecos Bill Cafe Restaurant in Frontierland in Magic Kingdom Park at Walt Disney World, opened on October 1, 1971. Served Mexican fare along with hamburgers and grilled chicken breast sandwiches. It closed on January 5, 1998, and was then remodeled and enlarged to become Pecos Bill Tall Tale Inn & Cafe, opening in May 1998. Also in Westernland at Tokyo Disneyland; opened on April 15, 1983.